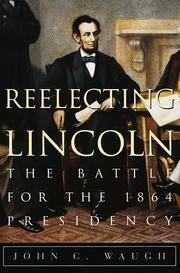 It is safe to say that the 1864 Presidential Election was like no other before or after it. Despite the United States being torn apart by the Civil War, the states that remained part of the Union, still went about their regular political business, as the Constitution instructed, and held an election to choose a President. It probably does not seem like a surprise that Abraham Lincoln won reelection fairly easily over Democratic challenger George McClellan. However, not everyone was completely sold on Lincoln as a successful president. And there was still a not insignificant amount of people opposed to the war, mostly because they did business with the South.